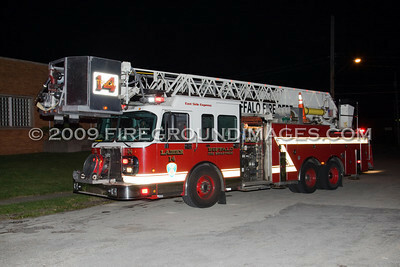 BUFFALO, NY – At 12:09pm on October 11, 2009 Buffalo Engine 31 was dispatched on a still to check an odor of smoke in the area of Naval and Texas. 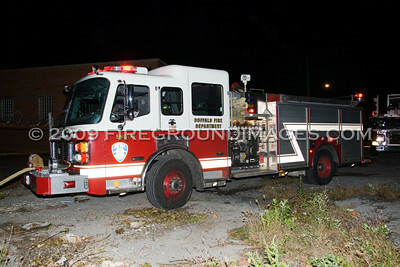 Engine 31 arrived on scene reporting smoke but could not find the source. 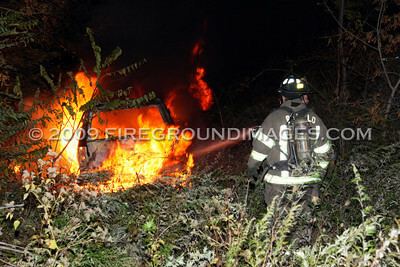 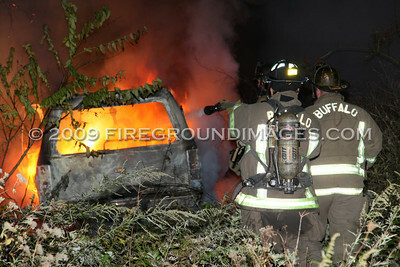 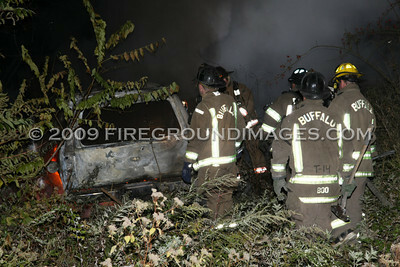 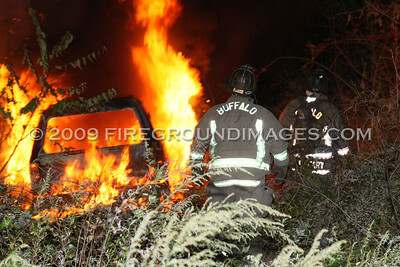 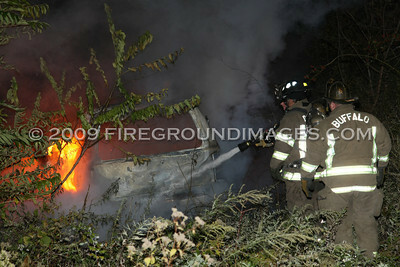 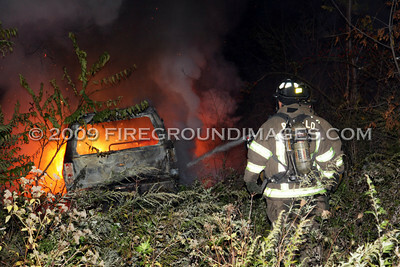 Soon after, Buffalo Fire Dispatch reported another call for a truck fire at the end of Scajaquada Street. 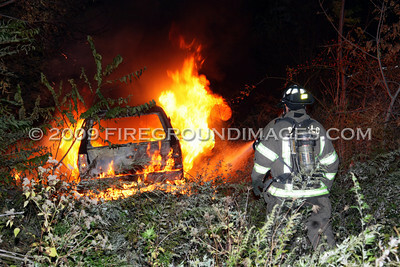 Ladder 14 was added to the ticket and the companies found a fully involved abandoned sport utility in the brush at the end of the street.